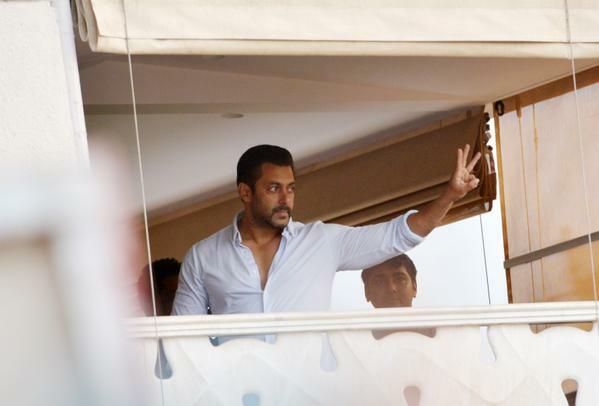 Along with Salman Khan and his family, Bollywood celebrities like Satish Kaushik and Mika Singh are relieved after the Bombay High Court on Friday suspended the superstar’s five-year jail sentence in the 2002 hit-and-run case. “It’s not just a huge relief to the Khan family. It’s a huge relief to the entire industry. He is gem of a person and if I may say so, all his good work that he has done is now coming in his favour. “We have been praying for him and I’m happy for him. Whatever we are today, it’s only because of him. He has given break to so many newcomers,” Sajid Samji of Sajid-Farhad writer-director duo told IANS. “Mauja hi mauja” hitmaker Mika Singh, who has sung Salman’s superhit song “Jumme ki raay” is “sooooooo happy”. “My best wishes to big brother @BeingSalmanKhan and I’m 200% sure God will help the man who always helps others. Keep praying. Agar dua dil se ho toh zarur puri hoti hai…. Thanx to all @BeingSalmanKhan fans for their prayers and good wishes. I’m sooooooo happy,” tweeted Mika. Actress amrita rao is also “happy for @BeingSalmanKhan & fmily”. Ameesha Patel, who shared screen space with Salman in “Yeh Hai Jalwa”, believes “prayers of all have been answered”. Actor-filmmaker Satish Kaushik also agrees with Ameesha. “Joy and Happiness for @BeingSalmanKhan and family..all prayers were listened to ..jai mahasar maa,” Satish tweeted.